As IT siloes are coming to an end, traditional roles are reimagined. The modern data center is experiencing unheard-of levels of automation and agility. This is partly due to the advent and accelerated adoption of virtualization and cloud services. The Society of Information Management reports, for instance, that cloud adoption has increased 200 percent in just two years. These technologies are shifting data center architecture from physical to virtual, and that means a shift in IT roles as well. The Software-Defined Data Center (SDDC) is an example of this shift. In the SDDC, the infrastructure is virtualized and delivered as a service, often referred to as converged infrastructure. The converged infrastructure approach enables organizations to employ new technologies, empowering more all-inclusive, easier-to-use and less-disruptive security throughout a data center. SDDC enables network virtualization at the access layer. It can also support virtual network topologies independent of physical network. Virtualized security technologies take advantage of the automation and speed of converged infrastructure, making security controls as easy to implement and manage as their virtual machine predecessors. By seamlessly integrating security into the network fabric, SDDC gives IT the ability to apply policy control within the cloud architecture. This provides users with end-to-end visibility and data protection as it builds continuous compliance into daily operations. IT teams benefit by reducing costs and the complexity of compliance management. Fully automated virtualization improves security by making it more fluid and context-aware. This means security can be more accurate, easier to manage and less expensive to deploy than traditional physical security. Virtualization enables IT teams to institute predefined capabilities based on rules and execute them automatically, and to design according to the needs of the applications. IT can spend less time on operations and more time building highly efficient applications. In the same way that SDDC is transforming the data center, it is also transforming the roles and responsibilities of the IT department. Network, security and operations can no longer operate in siloes. Instead of thinking of these changes as a diminishing of responsibilities, IT professionals should understand that SDDCs actually expand responsibilities by blending IT function. 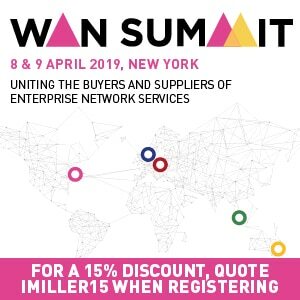 This presents an opportunity for previously independent teams to work collaboratively, expanding their knowledge and roles beyond traditional Operation/Network/Security siloes. By expanding and shifting their roles, away from silos and towards converged infrastructure administration, IT personnel can contribute more to the business, improving agility and overall security. Though about 40 percent of data centers are being managed by virtual administrators today, there is still a core network of security teams managing their data centers with outdated methods, including some solutions based on technologies that are more than a decade old. It’s important for IT admins to realize that the older physical security devices are not designed to protect the new virtual network components architecture of virtualization. Such traditional security depends on physical devices deployed on the perimeter of the data center or on physical networks. These physical devices depend on network inspection and are thus blind to the significant security-related activity within virtual infrastructure or to changes coming from the adoption of Software-Defined Networks (SDN) in the data center. Virtual is dominating the network layer just as it has dominated the compute layer in the SDDC. 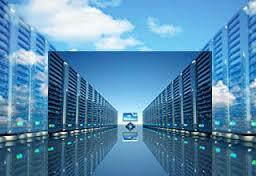 According to the Gartner Group, virtualization has surpassed 50 percent of all server workloads. Gartner believes it will reach 86 percent in 2016. Provided that the organization can embrace and adapt to these technologies, SDDC has the potential to deliver ubiquitously secure applications, offering higher levels of security. For IT to function efficiently moving forward, system, network and security teams must recognize this opportunity to expand their portfolio and embrace the change. Rethink and broaden IT roles in line with new, cross-functional responsibilities of the converged data center. If IT teams rely on organizational structures based on System/Network/Security skill silos, they will have difficulty realizing the benefits of their combined skills sets. However, if business leaders and IT admins can embrace and adapt to the new technologies as a team rather than individually, organizations will reap the benefits of virtualization and become empowered to provide higher levels of security. Organizations have already begun to enjoy the benefits of virtualization technologies throughout their data centers. They have significantly improved systems administration, managed infrastructure needs more effectively and efficiently and met compliance requirements. These benefits are tremendous, but any change has repercussions, and the transformation of IT infrastructure requires a change in the way organizations think about IT roles. In order to fully take advantage of virtualization technologies, IT team members must adapt and come out of their siloes to share expertise and collaborate. The modern data center will flourish when IT staff, guided by their leaders, work together to both embrace current trends and remain alert to new ones. Malcolm Rieke is the Director of Product Management at Catbird. Mr. Rieke has 20 years of information security design and management experience, including virtual infrastructure security design and implementation, network security design and management and corporate investigations and digital forensics. He’s developed security policy for major financial institutions and overseen their security audits. As Director of Product Management at Catbird, Mr. Rieke has provided the vision and technical requirements for Catbird’s private cloud security product. He holds a Bachelor of Science Degree in Computer Engineering from Old Dominion University in Norfolk, Virginia.